Thrift Thick: D.I.Y. Shutter Mail Holder! That is tooo cute! hahaha I love it! I love that you upcycle and it's functional. Great job! Oh wow, that looked like a lot of effort but I really like the final result! 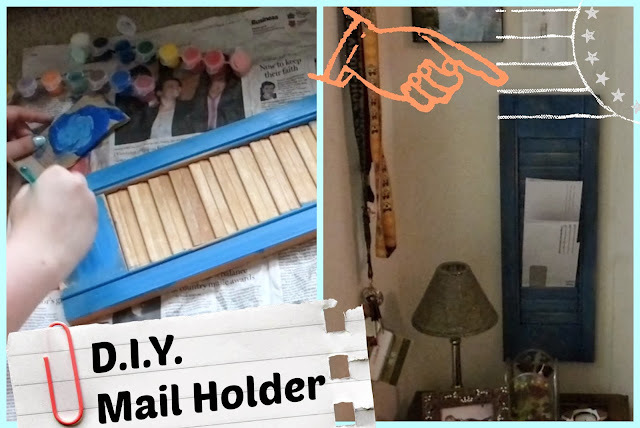 It adds a nice touch to your space and is very convenient and useful as well :) Looks like you have quite a few DIY tools at home, like the hot glue gun and the level measurement thingy lol! Thanks Kimmy, glad you like it! !